If you are into programming than Python is one coding language that is easiest for learners. Developed in the 80s, Python is open source and free to use, even for commercial applications. It is usually used and referred to as a scripting language, allowing programmers to roll out huge quantities of easily readable and functional code in short periods of time. Further, Python is also dynamic and supports object-oriented, procedural, and functional programming styles, among others. Thanks to its flexibility, Python is one of the most widely used high-level programming languages today. 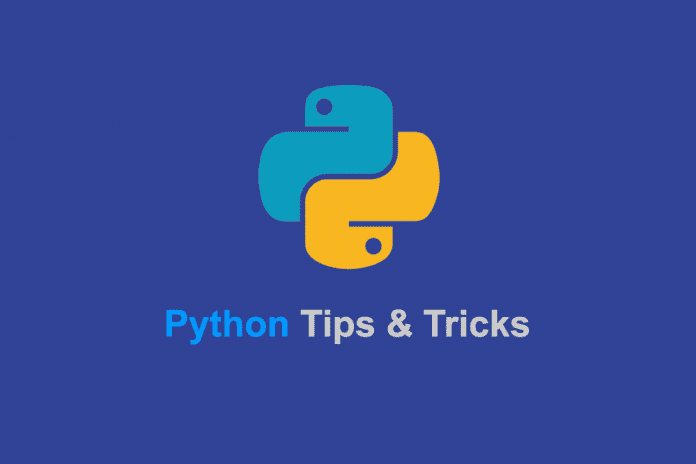 If you are learning Python, here are some awesome Python tricks you should know about. This is called list comprehensions in Python. For even more on list comprehensions, check out Trey Hunner’s tutorial. >>> prints ‘The three most recent presidents were: George Bush, Bill Clinton, George W. Bush. The join method in Python turns the list into a string by casting each item into a string and connecting them with the string that join was called on. It’s even smart enough to not put one after the last element. As an added advantage, this is pretty fast, running in linear time. Don’t ever create a string by ‘+’ing list items together in a for loop: not only is it ugly, but it takes much longer. “””Checks whether the words are anagrams. Complete the above method to find if two words are anagrams. The SimpleHTTPServer module that comes with Python is a simple HTTP server that provides standard GET and HEAD request handlers. An advantage with the built-in HTTP server is that you don’t have to install and configure anything. The only thing that you need, is to have Python installed. That makes it perfect to use when you need a quick web server running and you don’t want to mess with setting up apache. You can use this to turn any directory in your system into your web server directory. If you don’t have an index.html file in the directory, then all files and directories will be listed. As long as the HTTP server is running, the terminal will update as data are loaded from the Python web server. You should see standard http logging information (GET and PUSH), 404 errors, IP addresses, dates, times, and all that you would expect from a standard http log as if you were tailing an apache access log file. Top 10 Python tricks everyone who writes any Python already knows.